(Natural News) Persimmon trees, which are common in South Korea during spring, are more commonly known for their fruit. However, the leaves of this tree also have some uses. Persimmon tree leaves have been studied by South Korean researchers and found that these leaves can help improve blood circulation. In the study, which was published in the Journal of Medicinal Food, the researchers examined the antiplatelet and anticoagulant properties of persimmon leaf extracts in vivo. They compared the effects of dietary supplementation with an ethanol extract of persimmon leaf with omega-3 fatty acids on blood clotting, platelet activation, and lipid levels in vivo. In earlier research, persimmon leaves have been found to have beneficial effects on hyperglycemia, dyslipidemia, and nonalcoholic fatty liver disease. In conducting the study, the researchers fed mice with a high-fat diet containing either ethanol extract of persimmon leaf or omega-3 fatty acids for a period of nine weeks. Then, they assessed blood coagulation by observing the activated partial thromboplastin time (aPTT) and prothrombin time. They also looked at plasma thromboxane B2 (TXB2), serotonin, and soluble P-selectin levels. The persimmon leaf extract and omega-3 supplement groups showed significantly prolonged aPTT and significantly reduced C-reactive protein and leptin levels. Both persimmon leaf extract and omega-3 fatty acids also reduced total and low-density lipoprotein (LDL) cholesterol levels. In addition, supplementation with persimmon leaf extract reduced TXB2 level and decreased arterial serotonin transporter mRNA expression, but did not affect serotonin or soluble P-selectin levels. These results showed that persimmon leaf extract may improve blood circulation by preventing blood clot and platelet activation as well as by decreasing cholesterol levels. Based on the findings of the study, the researchers concluded that persimmon leaf extract may potentially be used to improve blood circulation. Starting in the 1970s, research experts started trial production of the tea. Then, in the 1980s, the Chinese Academy of the Sciences discovered that this particular tea is rich in a large variety of vitamin C, tannins, flavonoids, rutin, choline carotenoids, and amino acids. Compared to other teas, it contains up to 10 times the amount of these vitamins and nutrients. Moreover, researchers found that the tea contains 10 elements that are beneficial to bodily functions, including magnesium, manganese, titanium, calcium, phosphorous, and more. Research has also shown that the consumption of persimmon leaf tea promotes healthy metabolism. Its rutin content helps in softening the blood choline tube, which prevents arteriosclerosis. 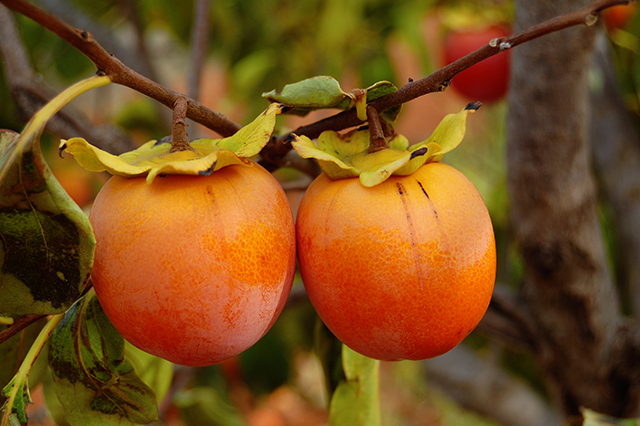 The flavonoids in persimmon leaf tea also help in lowering high blood pressure and improving blood flow. Moreover, drinking persimmon leaf tea may prevent melanoma, according to a Japanese magazine called Longevity. Furthermore, these health benefits bring forth anti-cancer and anti-influenza virus interferons. Long term consumption of persimmon tea has also been found to help prevent coronary heart disease, and lower high blood lipids and fatty lipid cells. Other than persimmon leaf, there are other natural remedies available that help reduce blood clotting. These include turmeric, ginger, cinnamon, cayenne peppers, and vitamin E. While these natural remedies help, keep in mind that they may interfere with other medications. Read more news stories and studies on supplements that help improve blood circulation like persimmon leaf extracts by going to SupplementsReport.com.